I am proud to present 'Florilegium 2' - ten further tracks from my recent past. It's very important to me to be authentic. My biggest difficulties occur when I'm not. In this vein, I couldn't title these new collections the way I title my albums. It would be inauthentic to treat them as albums. They are gatherings, compendiums, anthologies.. but these words have been used a million times... then I happened upon the word Florilegium... meaning 'a volume of writings'. And that was that. 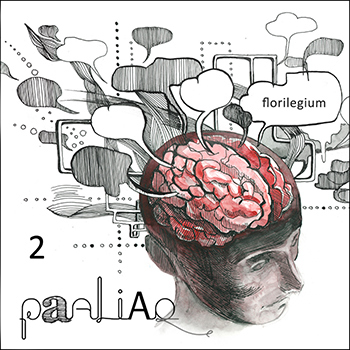 Like 'Florilegium 1' most of these songs were released during the last year. And like all my songs, they mean a great deal to me. There are a few extra tracks included too, such as Wish, Objet Trouvé and Yaysayer. I wanted to gather all these 20 tracks together to make it easier for you to have them, and, to be honest, to leave some of these songs in this year where they belong. Cover art by Dmytro Kozlov.